Are you not satisfied with the current job and looking for a change? Then Get linked through LinkedIn. Well, LinkedIn can be of great help in landing in a great job one is looking for. LinkedIn is smarter way of searching for jobs and it also connects one with a broad network. Unlike social media like facebook and twitter, LinkedIn is a business and employment oriented service. It can be operated through websites and mobile apps. In LinkedIn people can search for jobs or employer can post jobs. It works as a professional network between job seekers and employers and one can even make business connection through LinkedIn. Most of the recruiters and human resource professionals these days are on LinkedIn. It has extensive job listing. One can reach out to people who have viewed your profile. So LinkedIn is basically work based social networking service. 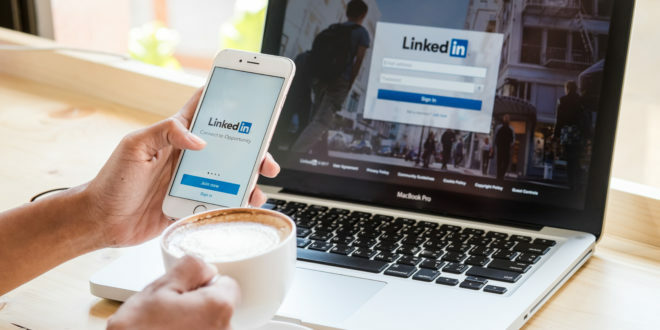 One of the most important benefits of LinkedIn is that one can connect your LinkedIn profile with your other social media profiles. One can promote his or her brand or company. However, one is expected to avoid any emotional or personal updates as it is a professional platform. LinkedIn contains information about an individual’s skill, educational qualification, working experience, and projects. It will be easy for recruiters to reach out to job-seekers. As most of the recruiters are on LinkedIn, so they may consider one as Tech-savvy which is a plus point. A lot of Top companies and brands are using LinkedIn. Another benefit of LinkedIn is that one’s peers can write recommendation skill for one another. One can join professional groups and update his resume to get noticed by the right recruiters. However, one has to be careful about grammar and spelling. He or she must remember that they are not connected to their friends and colleagues through LinkedIn but are linked to professional people and any such mistakes might give a negative impression about the particular individual. LinkedIn also helps one to stay updated on different aspects like market and trends in business which might be part of some interviews. On LinkedIn, the connections are not friends but just Connections and hence one is expected to refrain from making personal comments or emotional statements. One’s profile should look like a resume and the profile picture should be professional and reflect what kind of work he or she is in. LinkedIn can lead to international Professional Connections. However, there are a few disadvantages of LinkedIn as well. LinkedIn collects personal information and sometimes it asks the user to pay for availing more advantageous services through its multiple membership programmes. It also hampers the ethical standards of professional organizations having privacy issues about their organizations. There are a lot of people who are not aware of LinkedIn and many users still consider it to be a social media account. People have also complained that it is slow to react. LinkedIn decides who reads your post. Building a Professional Profile on LinkedIn is time-consuming. Users have also complained about job-seekers not getting any response from applications they have sent to the recruiter.